Michigan's largest indoor waterpark... Welcome to...WOW! Hospitality abounds at the world-famous Zehnder's Restaurant. A showcase of specialty food and gift items from around the world. Recognized as one of Michigan’s top championship golf courses. Welcome to Zehnder's and make yourself at home. 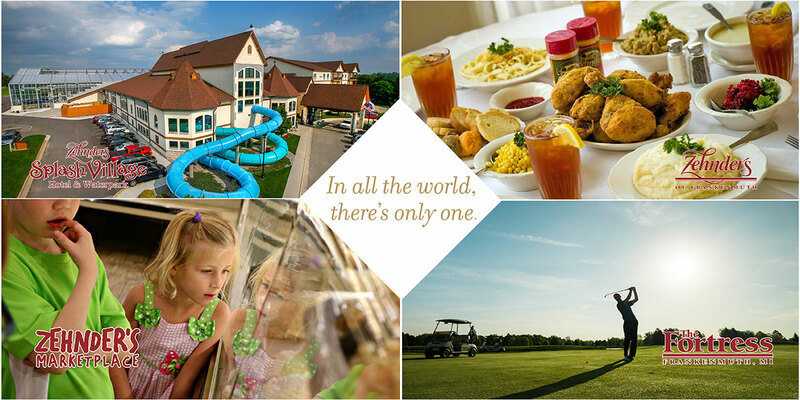 This is your web window to our world famous, flagship restaurant Zehnder's of Frankenmuth, our championship golf course The Fortress, our unique shopping experience Zehnder's Marketplace and the aquatic excitement of Zehnder's Splash Village Hotel and Indoor waterpark. Eat, sleep, shop, and play in the Bavarian themed village of Frankenmuth, Michigan. 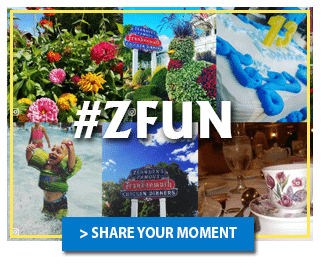 Just 90 miles north of Detroit and voted best day trip in Michigan by Detroit News readers, Zehnder's and Frankenmuth is enjoyed by millions of people each year.